It’s here again – the call for nominations to Arts Access Aotearoa’s Big ‘A’ Awards 2013. Of the six award categories, two awards recognise prison arts and are an opportunity to thank the staff, volunteers and community groups for their leadership, commitment and hard work. Both awards recognise people who are using the arts as a tool to support the rehabilitation of prisoners or their reintegration into the community on release. The Big ‘A’ Prison Arts Leadership Award is for an employee, contractor or volunteer with the Department of Corrections. And the Big ‘A’ Prison Arts Community Award is for a community group or community organisation working with the Department. 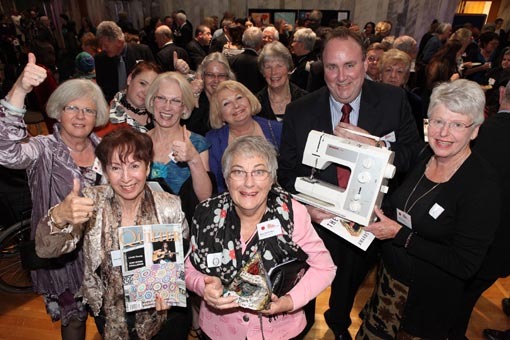 You may remember that last year’s recipients were art tutor Corina Hazlett (Canterbury prisons), volunteer quilters the Quilt Stitch Group (Auckland Region Women’s Corrections Facility) and finalist Ann Abraham (Arohata Prison). The recipients and finalists deserve our applause because they have gone the extra mile for their prisoner artists and found vital links between the prison and their communities. The nomination process this year has been simplified so please put in your nominations. There’s more about these awards here but please don’t hesitate to contact us if you would like more information. 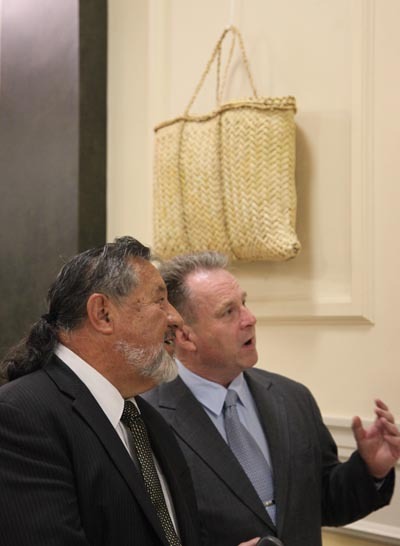 Art from New Zealand prisons and correction facilities took a big step forward over January with an exhibition in the foyer of Parliament House. I’d like to thank all staff and prisoners who submitted works, even if it couldn’t be included. The final result was a very informative and impressive exhibition. Our main purpose in presenting the exhibition was to inform politicians, parliamentary staff and the general public taking tours of the positive results, possible through art programmes and activities running in a range of prisons and units. Because we totally agree with the Minister, I’m very pleased we’re working alongside Managers of Contracts and Services, Prison Managers and head office staff to develop individual arts plans for each prison. By the end of July, all prisons and Corrections facilities will have their own plan and our Prison Arts Advisor, Jacqui Moyes, is available to help you implement these. As part of this planned approach, we ask you to identify educational links and ways that you can engage with communities to help deliver art activities. Please contact Jacqui if you have any questions (E: jacqui.moyes@artsaccess.org.nz T: 04 802 4349). 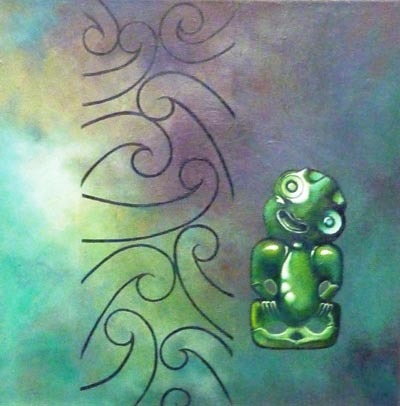 An outstanding example of a community response to art making in prisons is Mairangi Art Centre and its local community at Mairangi Bay on Auckland’s North Shore. Art tutor Ellie Drummond (former General Manager of the gallery) was presented the Big ‘A’ Community Partnership Award 2011 with Mark Lynds (Manager, Contracts and Services, Northland). The next Mairangi Arts Centre’s InsideOut exhibition is from 9 to 28 March and the new manager, Lena Kovac, has asked me to speak at the opening. I’m looking forward to it. I’ve always thought that marking special moments is important and to be at the opening of the next exhibition of prison art only two months after the one at Parliament really gets me going. Taking the art created by prisoners to a respected gallery in a community is the next and vital step following the actual creation. To have it exhibited and valued (worth money) means a whole lot to the artist and the staff who helped get the art produced and in the exhibition. As always, the proceeds of the sale of art are donated to a charity and this is a way for the prisoners to give back to society. I hope you will be able to get to the exhibition and if you do, please let me know what you think. Original generation time 2.3863 seconds. Original generation time 2.0900 seconds. Cache Loaded in: 0.0468 seconds.